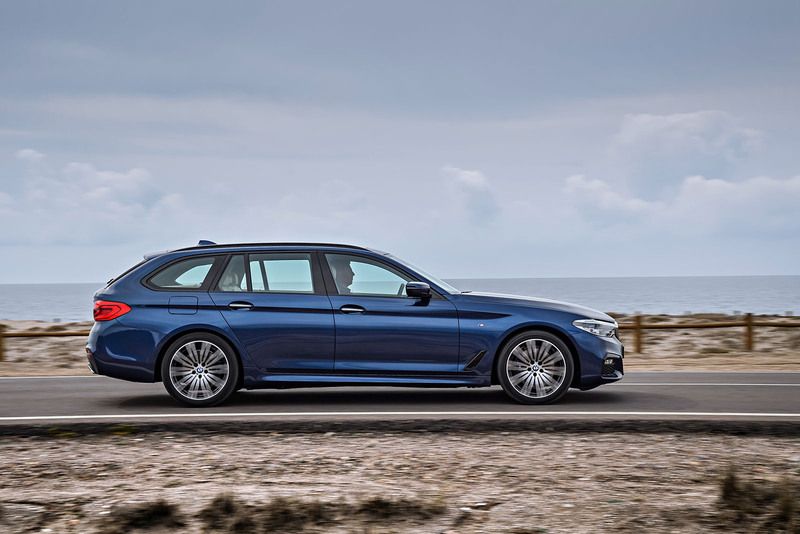 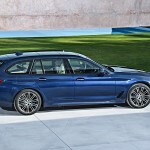 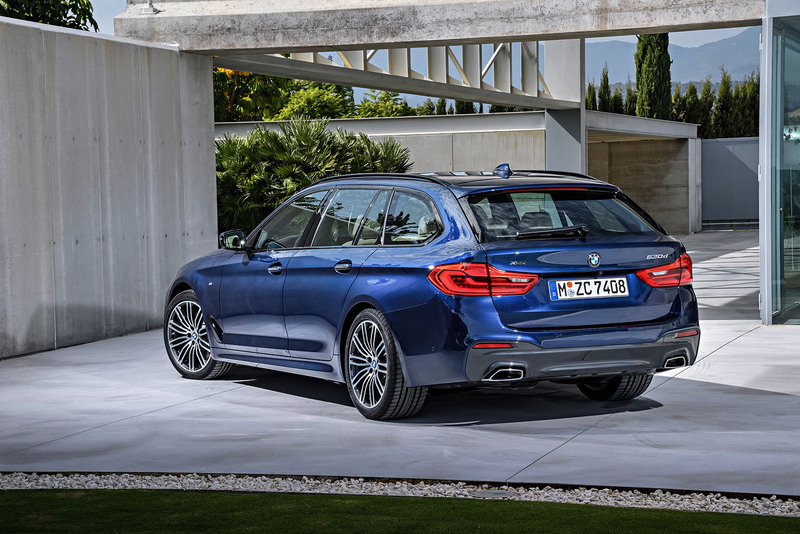 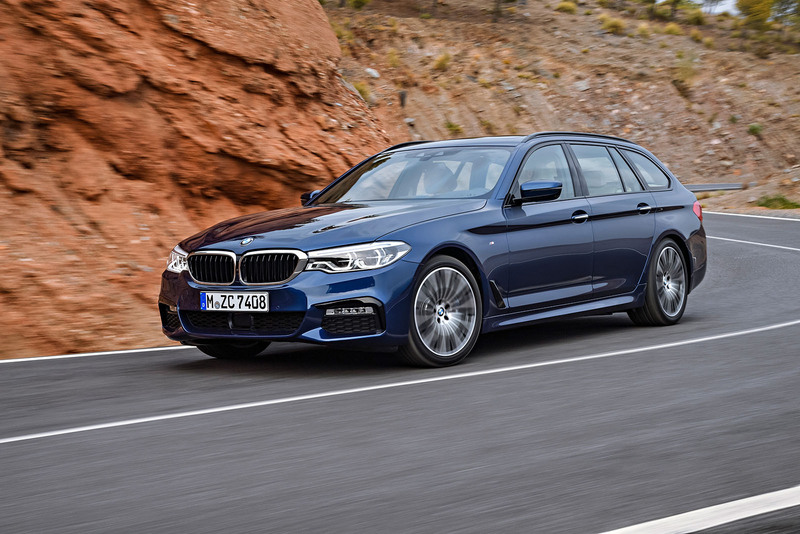 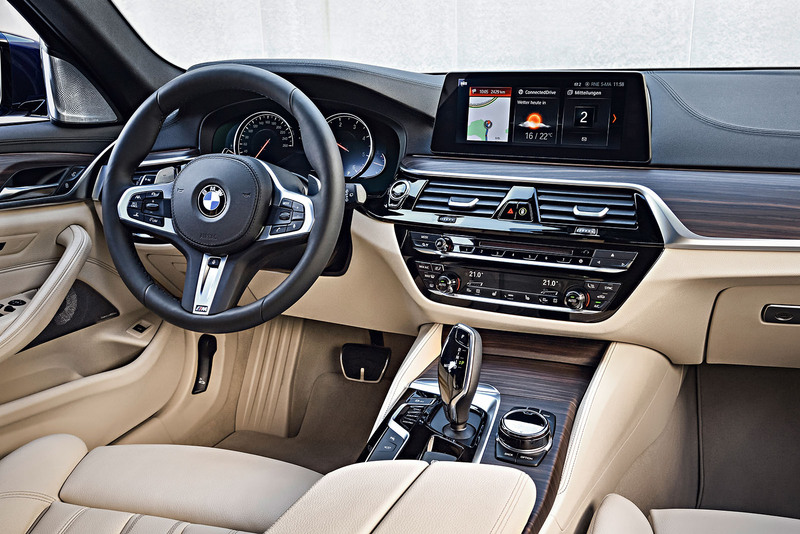 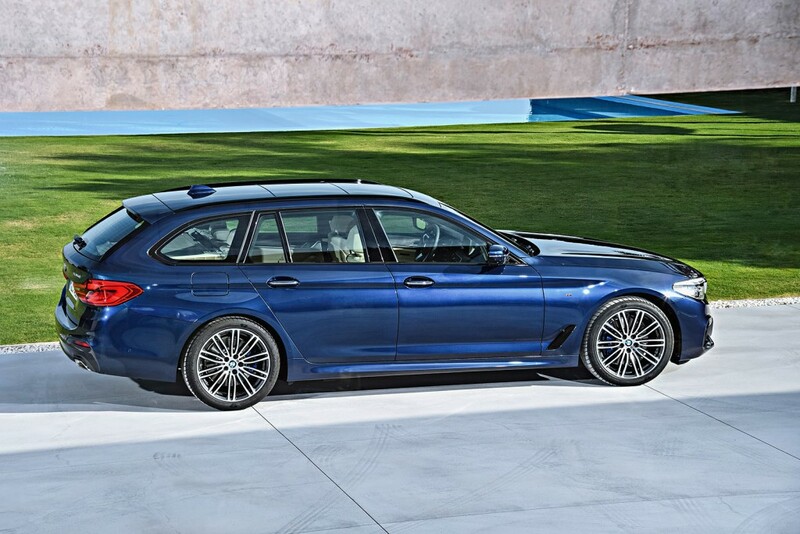 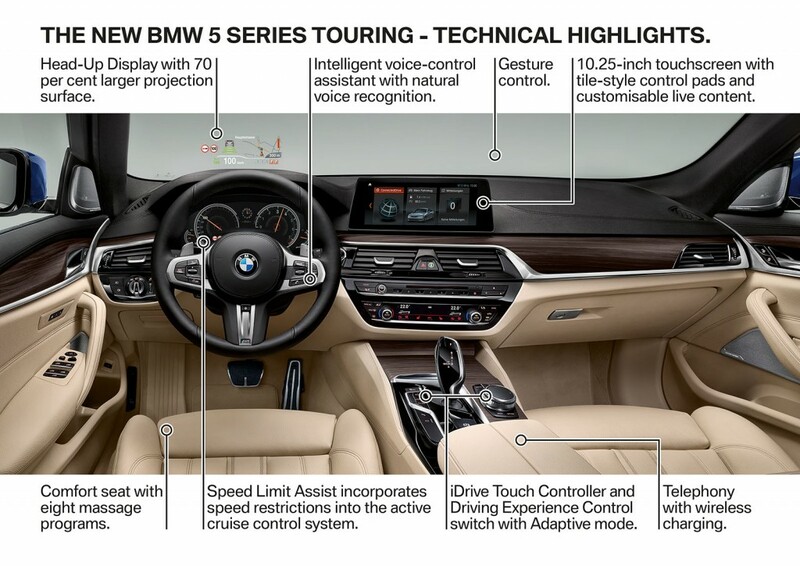 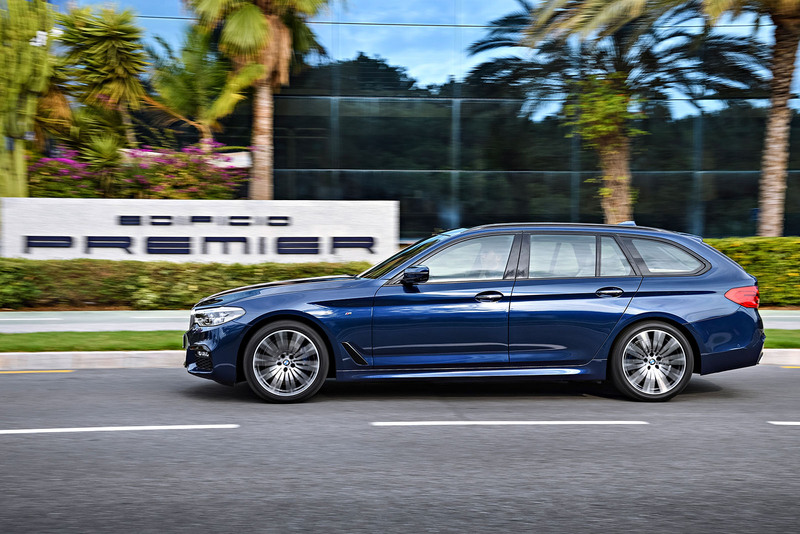 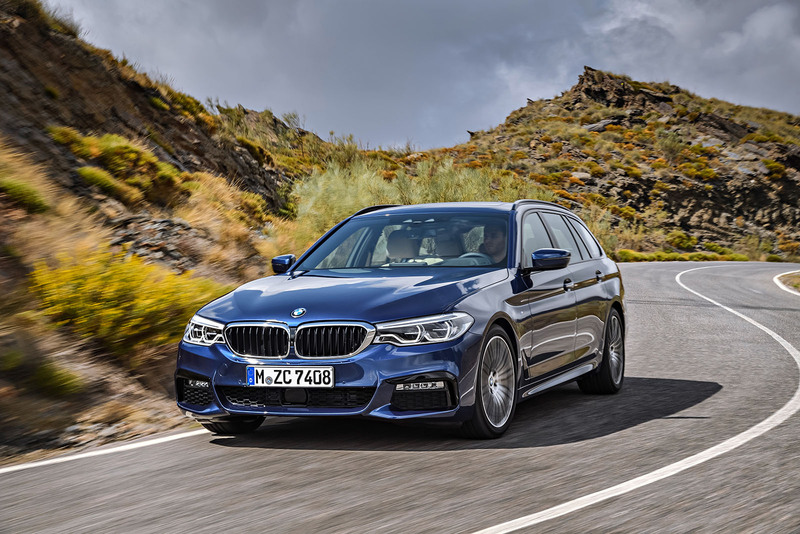 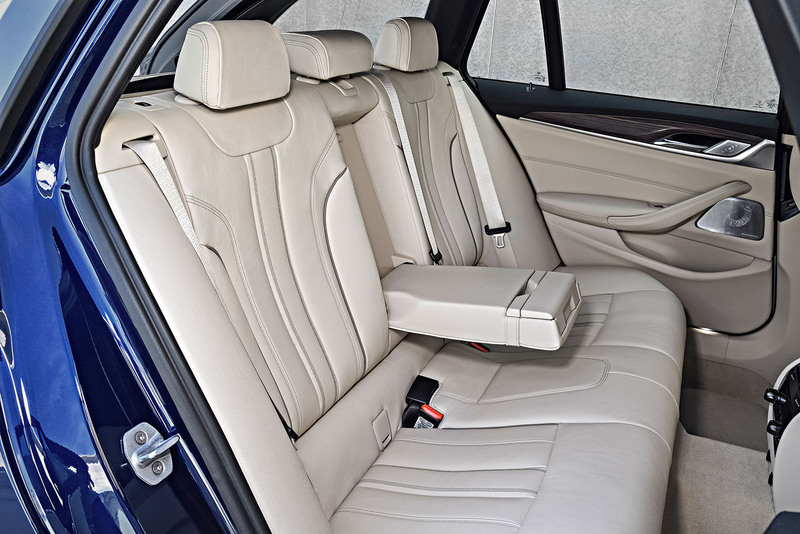 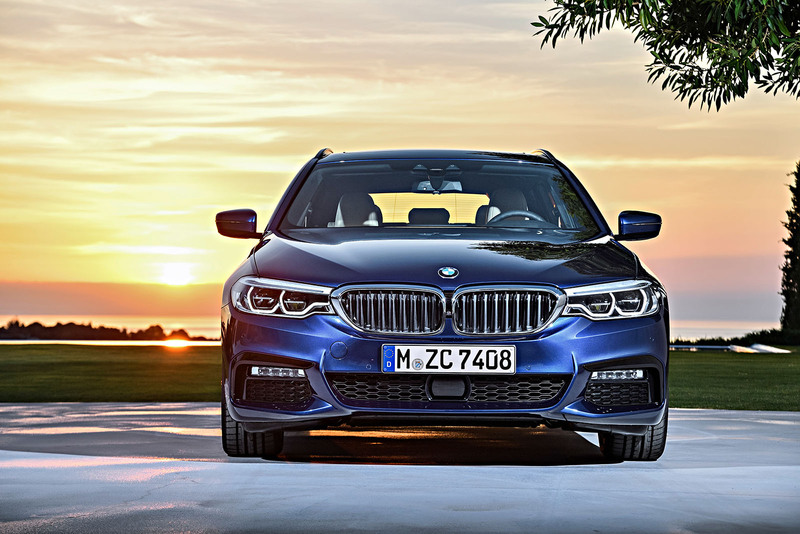 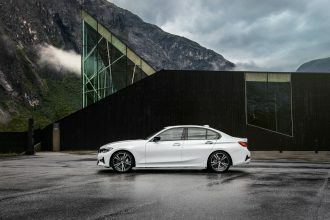 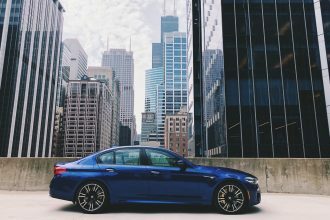 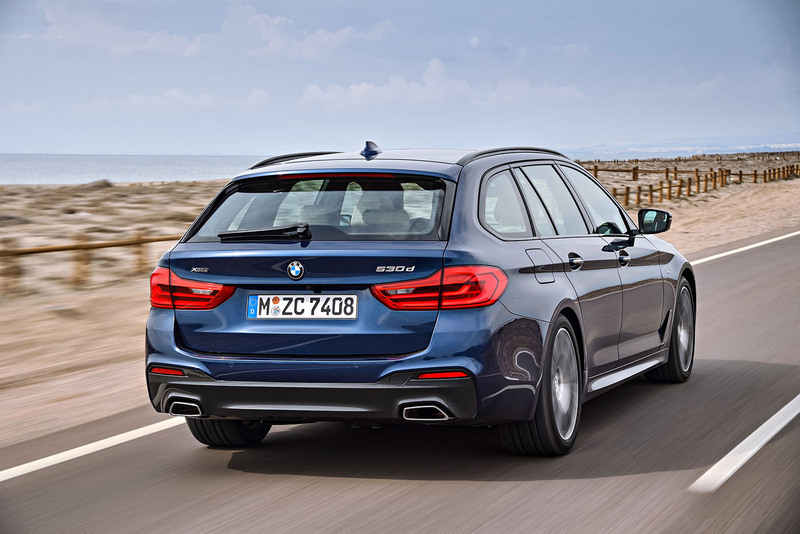 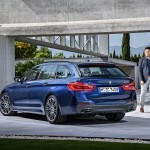 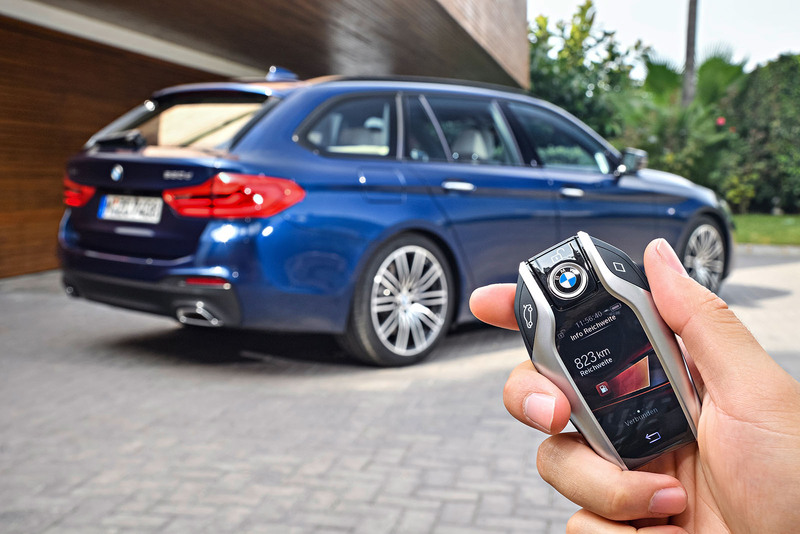 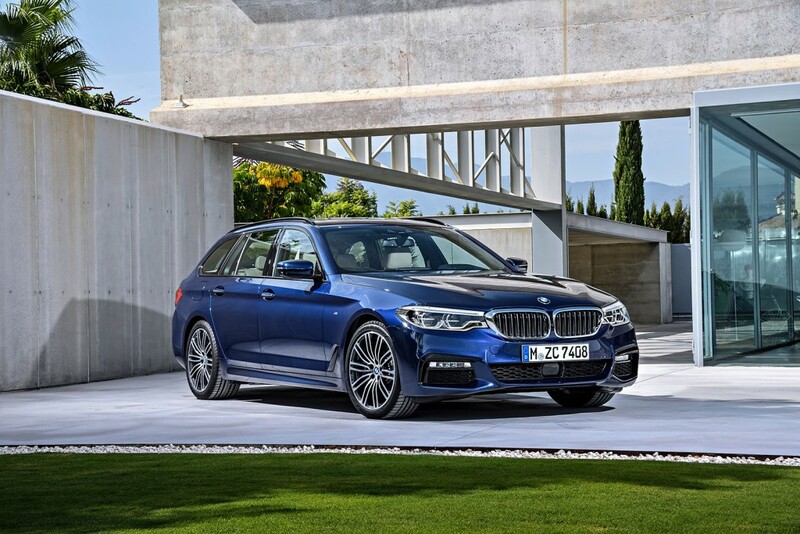 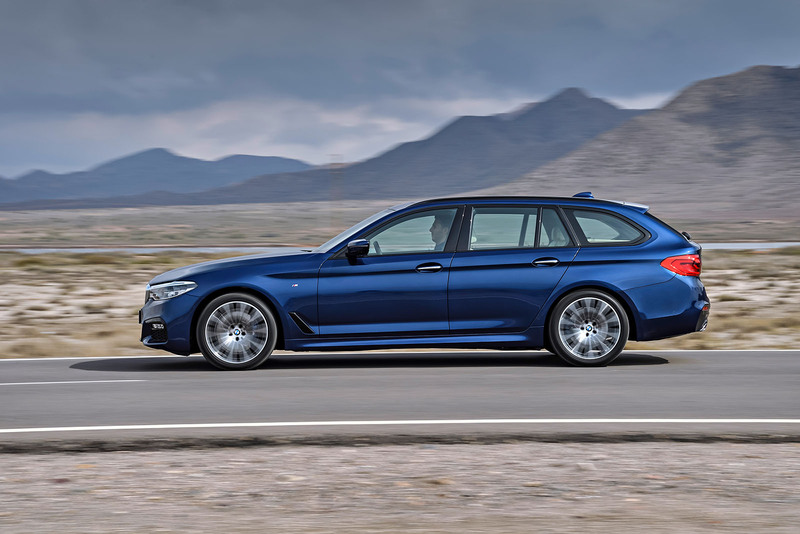 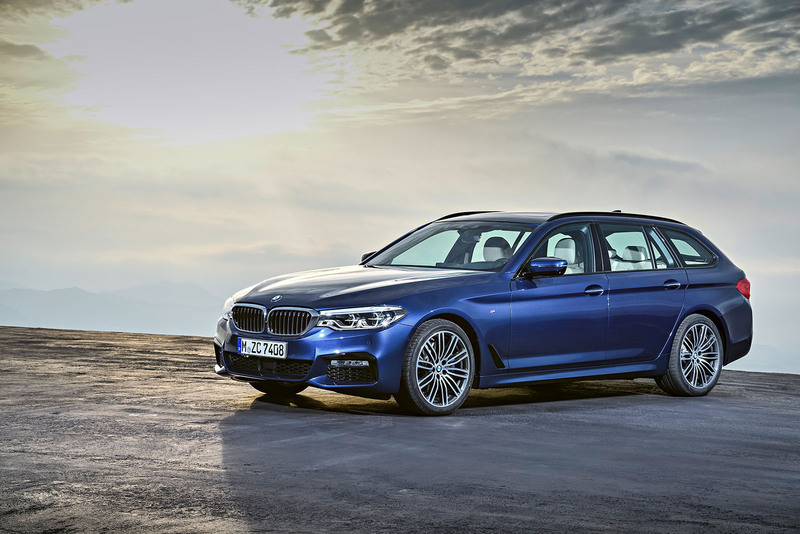 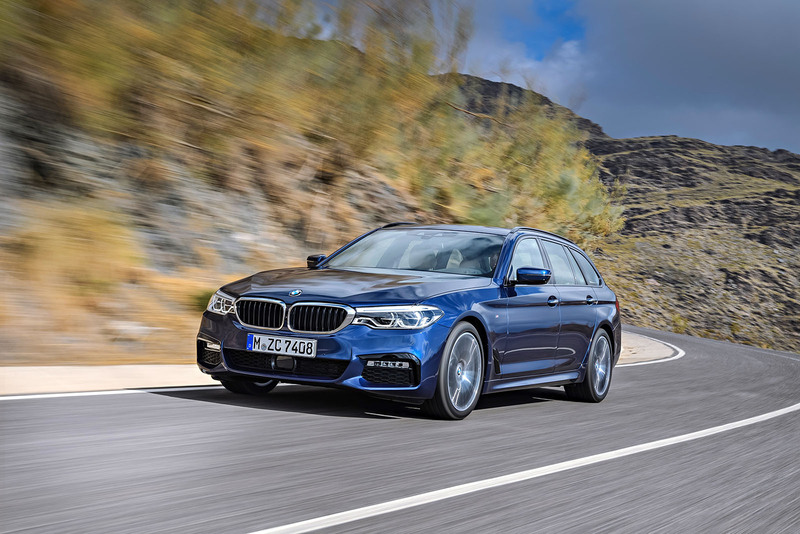 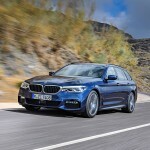 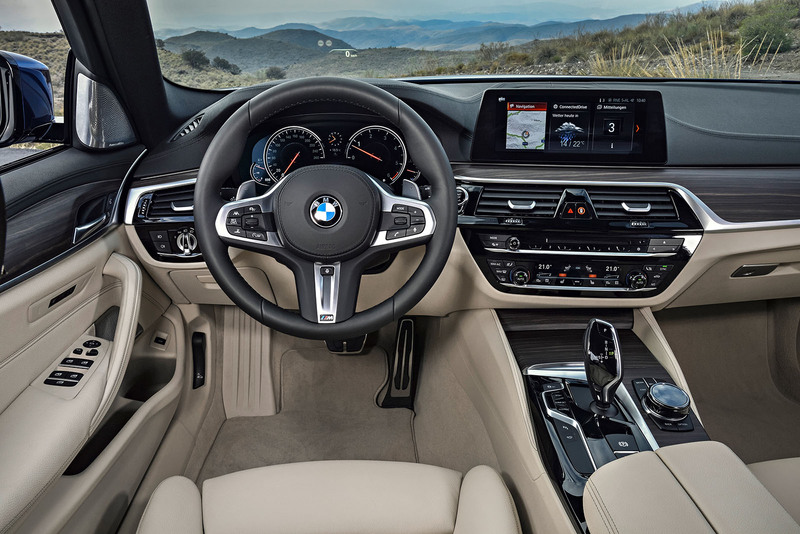 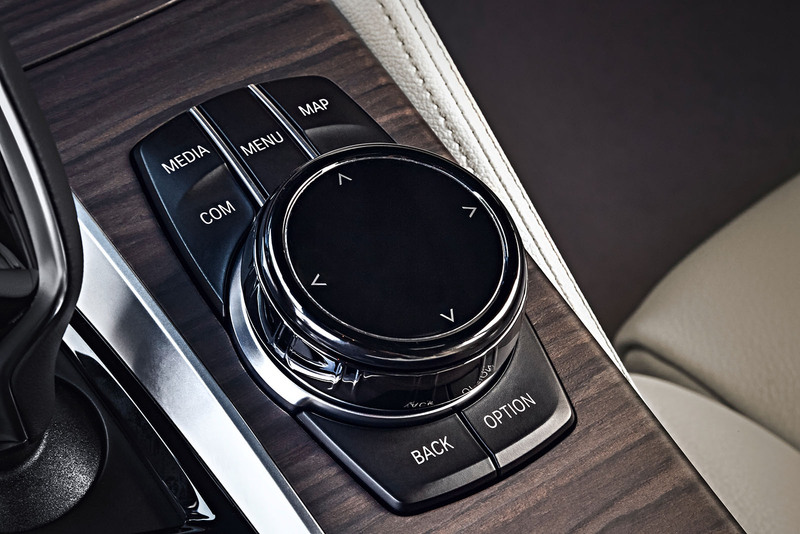 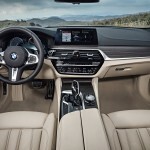 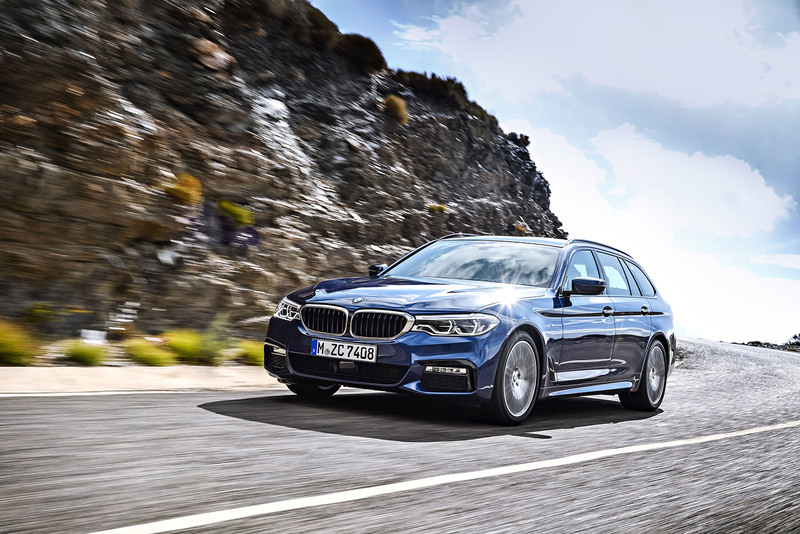 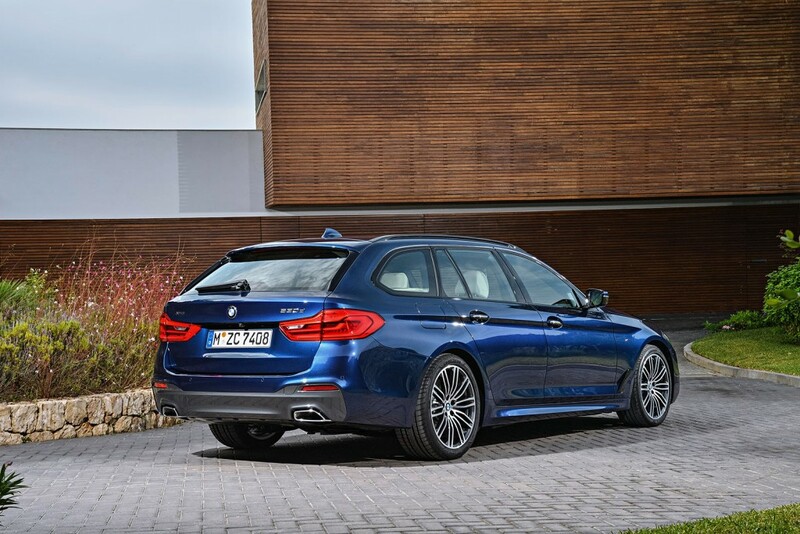 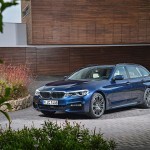 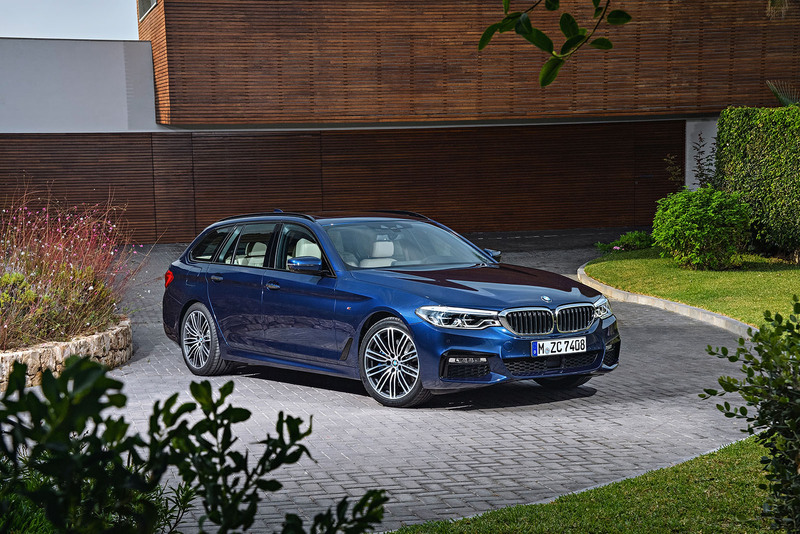 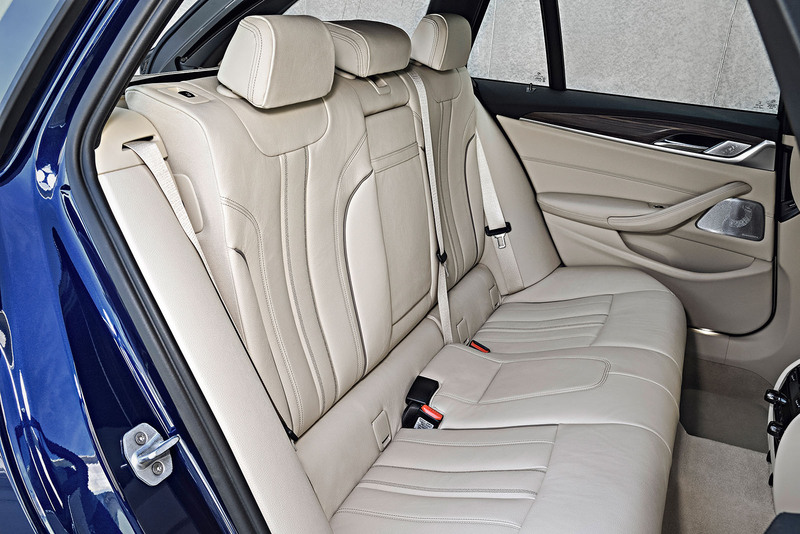 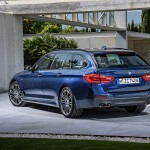 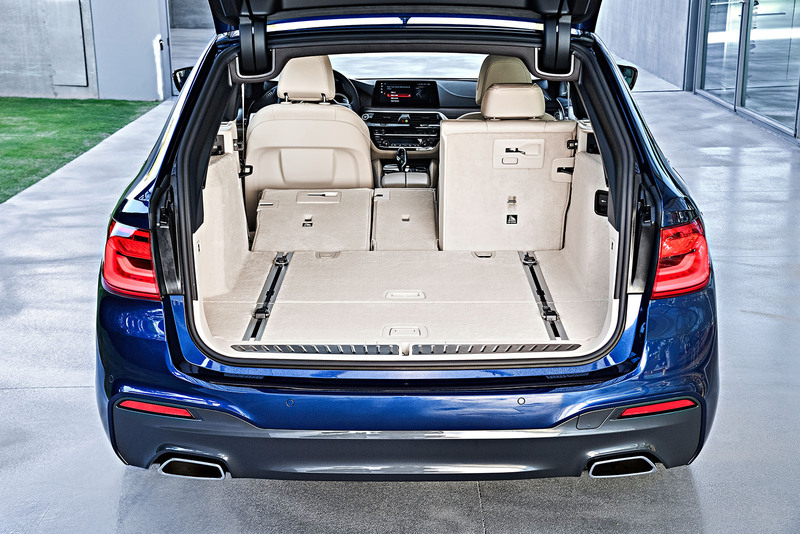 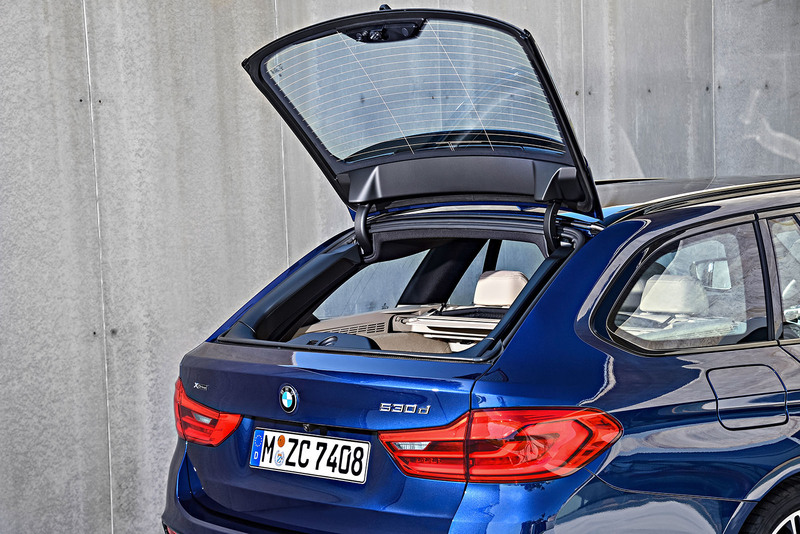 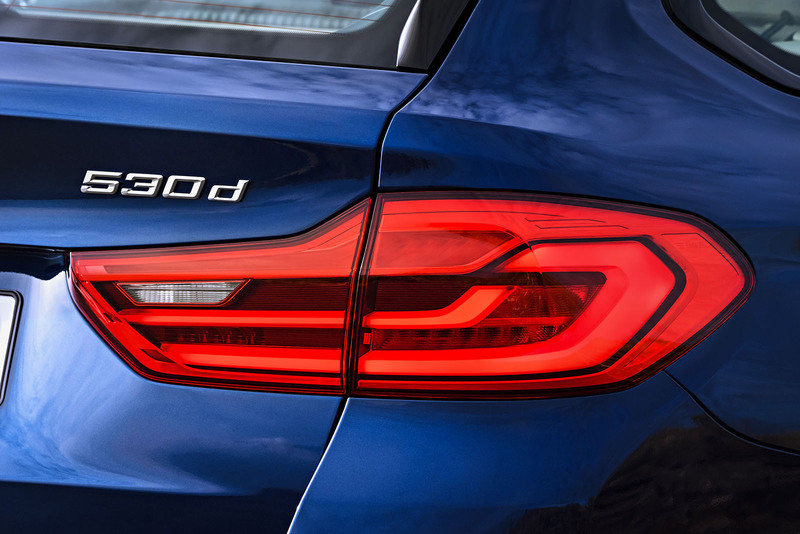 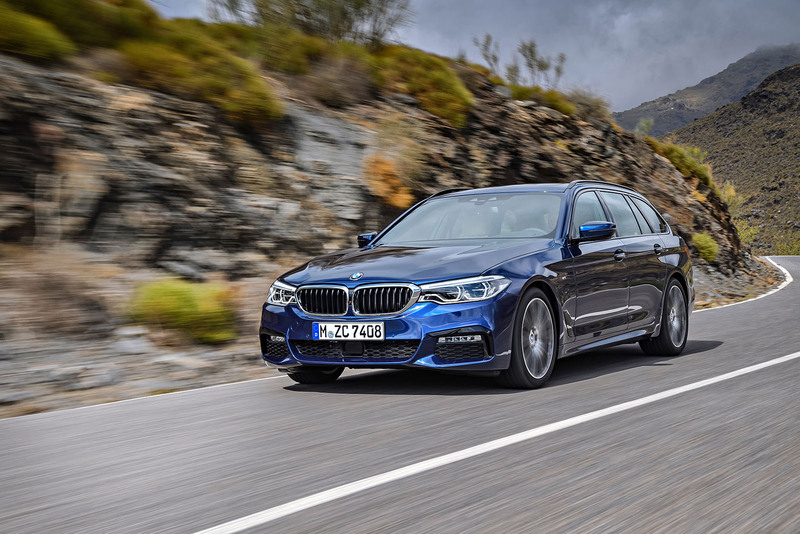 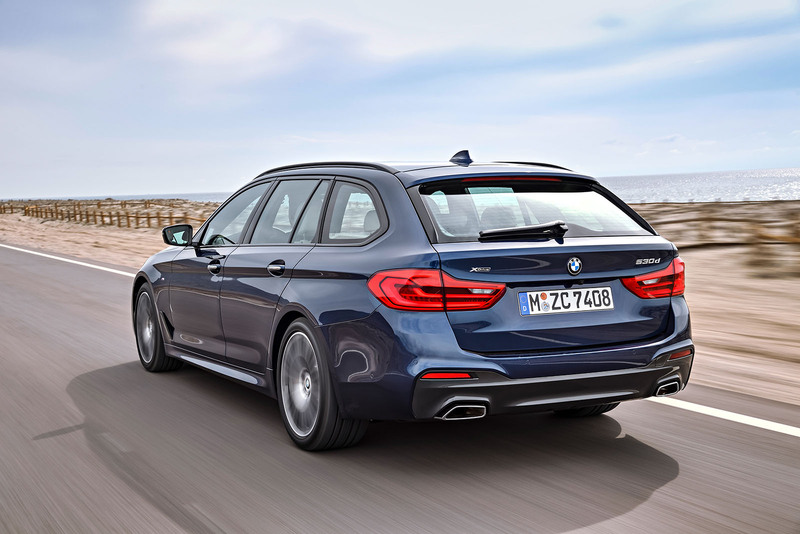 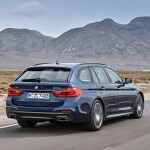 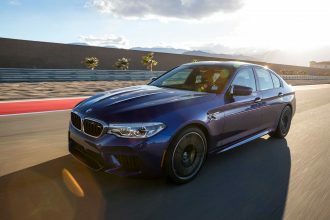 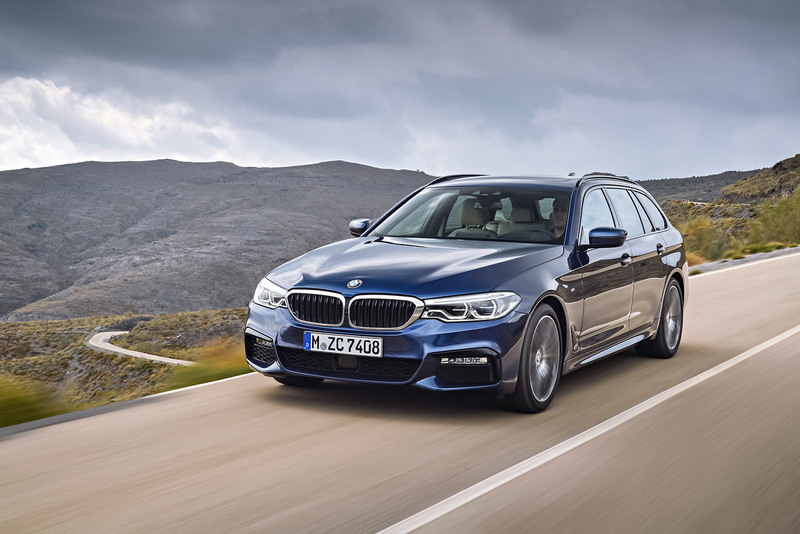 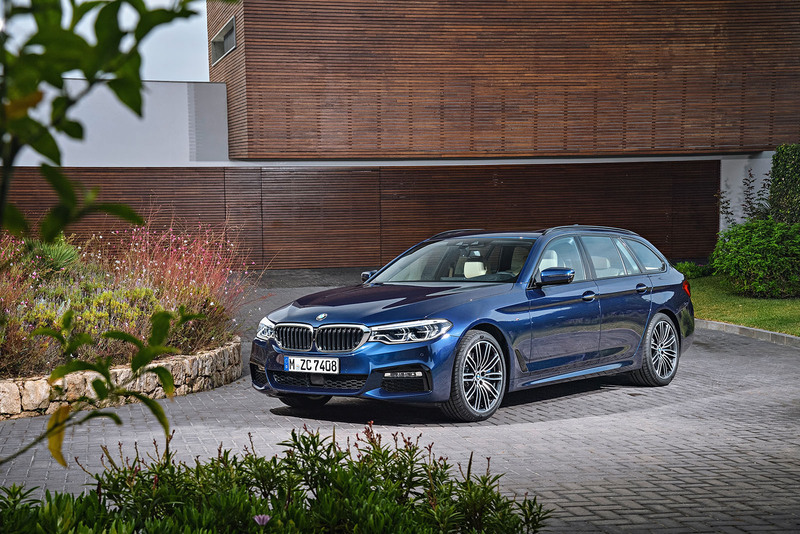 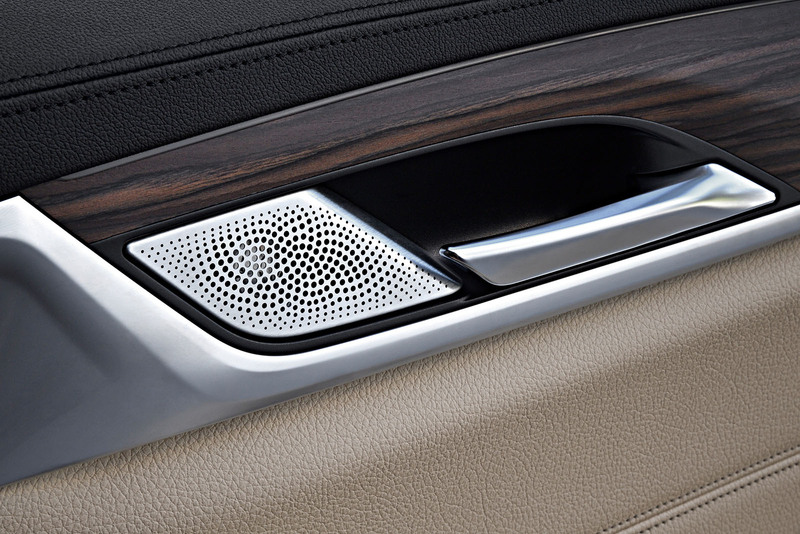 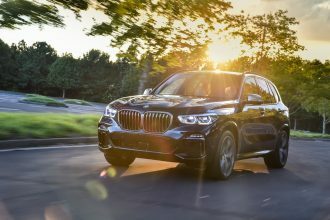 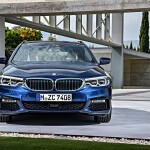 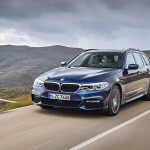 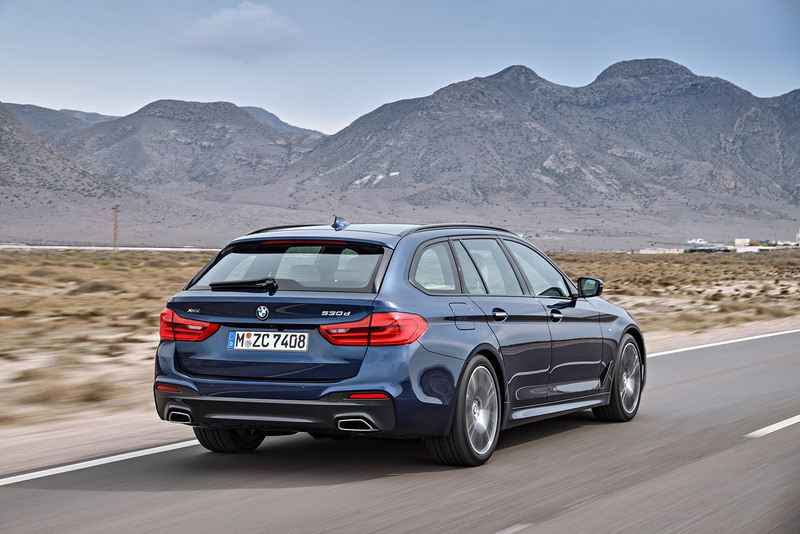 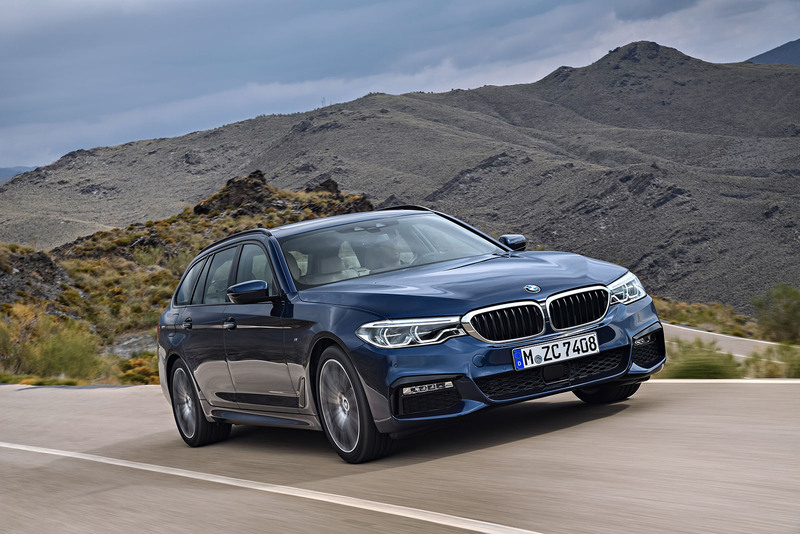 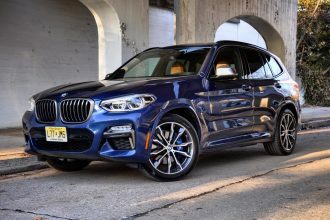 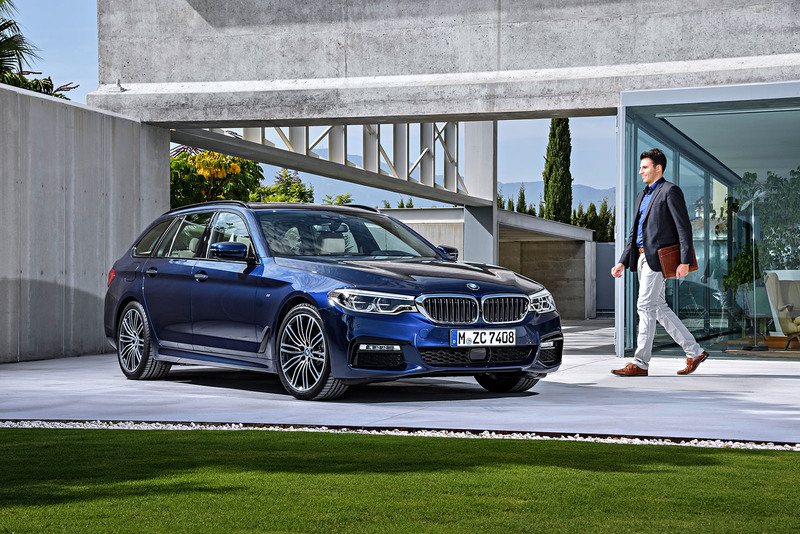 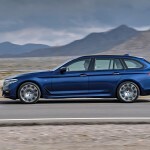 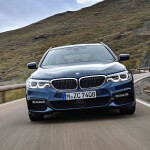 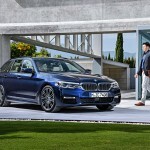 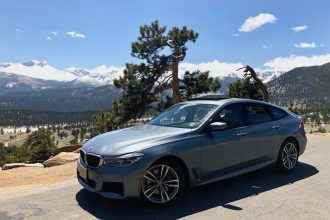 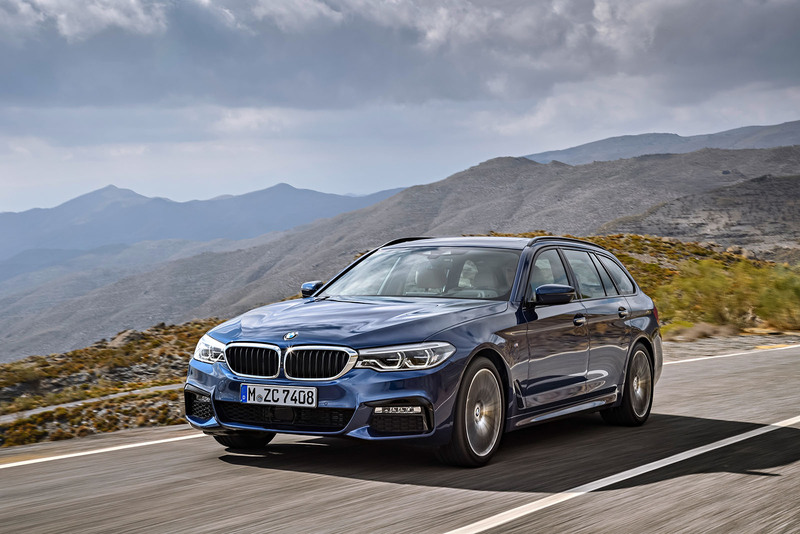 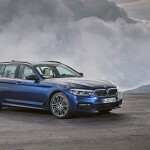 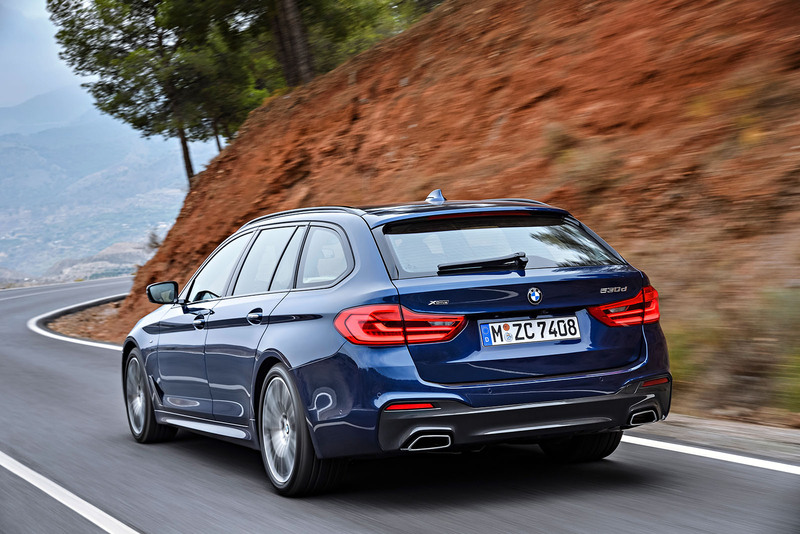 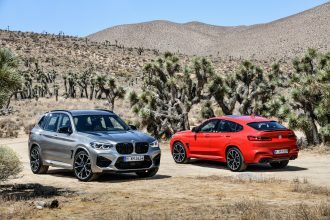 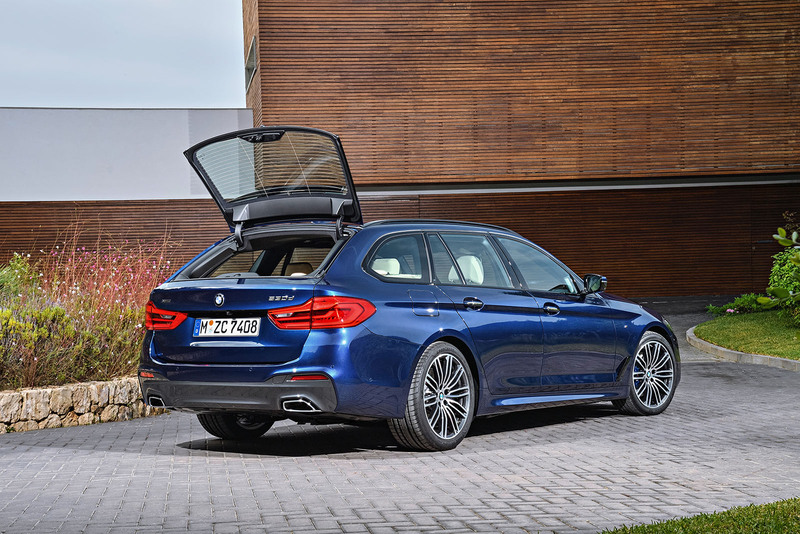 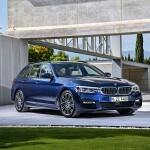 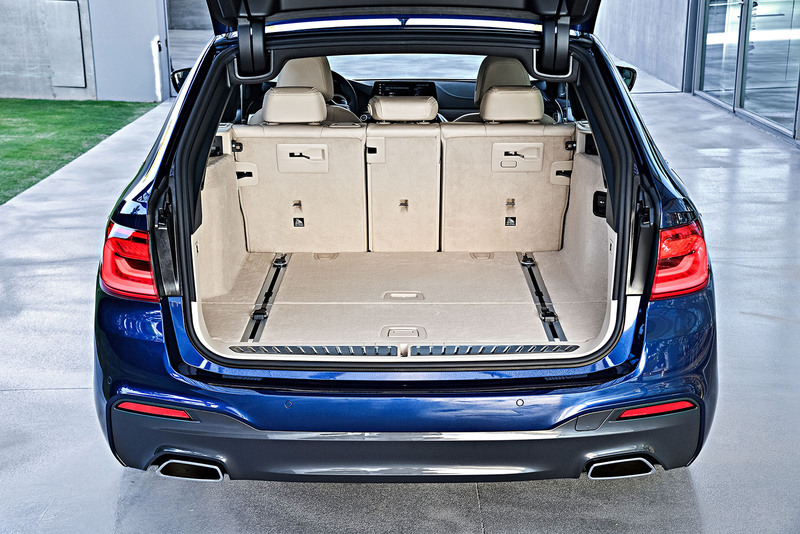 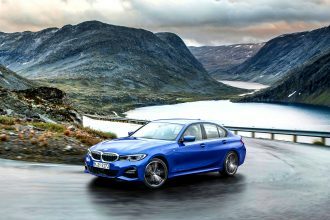 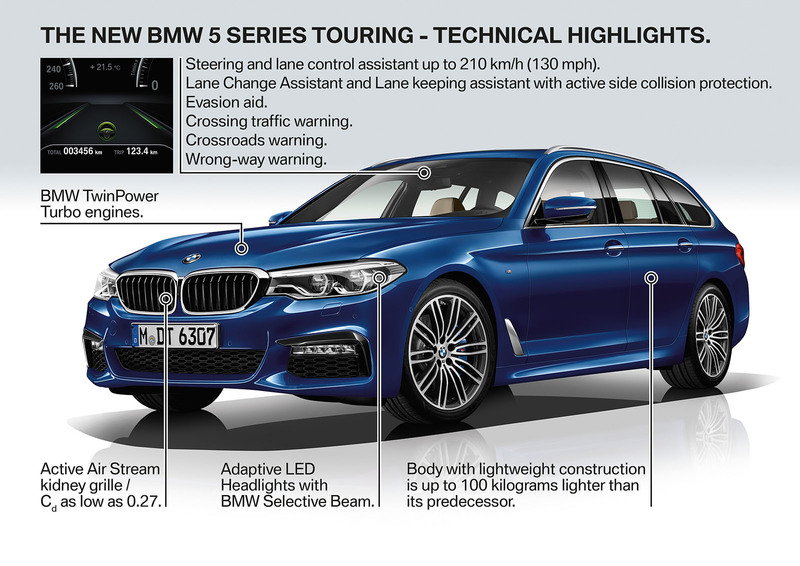 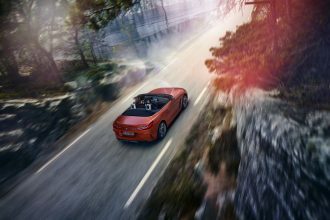 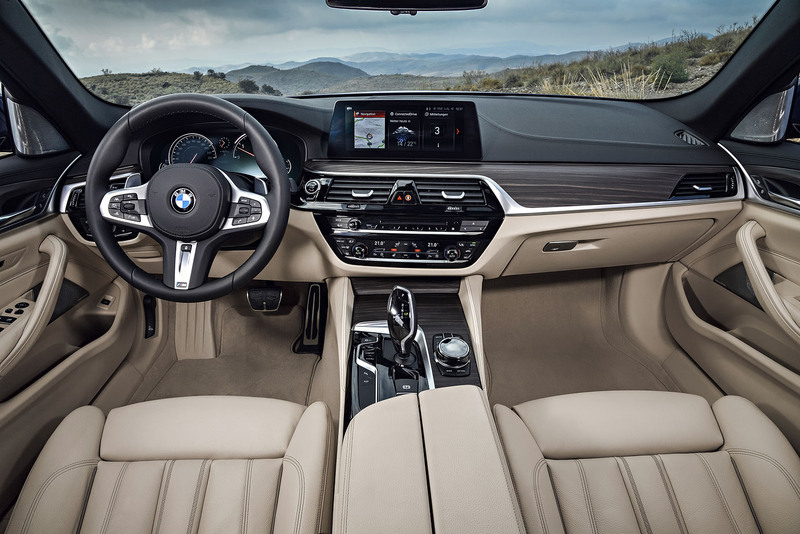 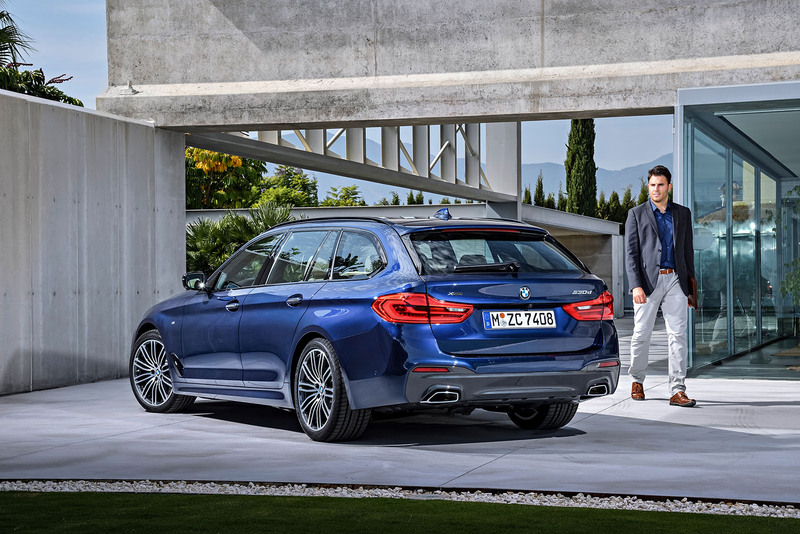 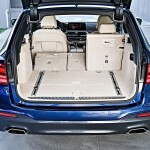 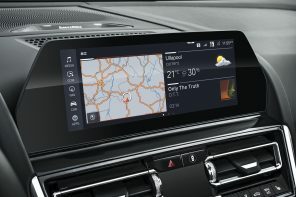 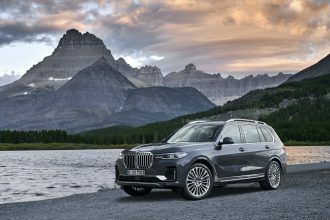 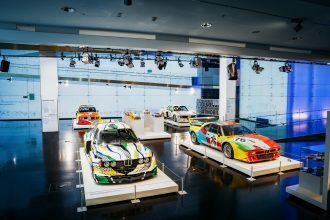 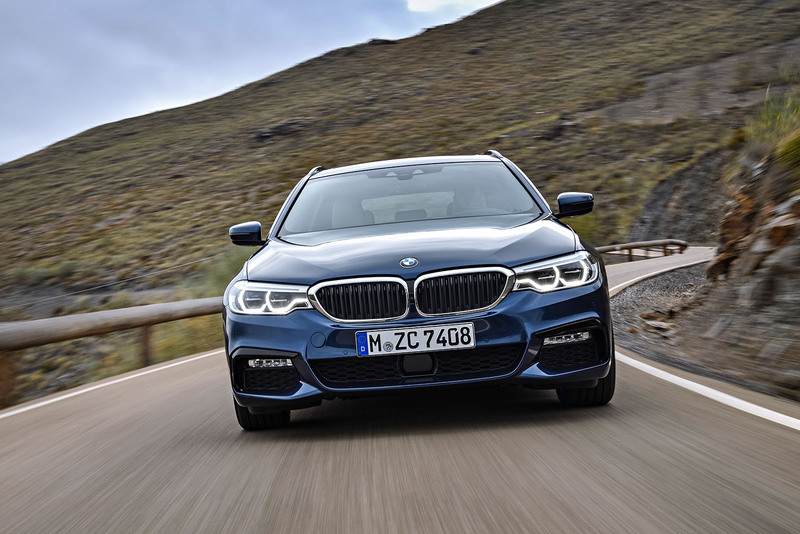 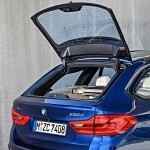 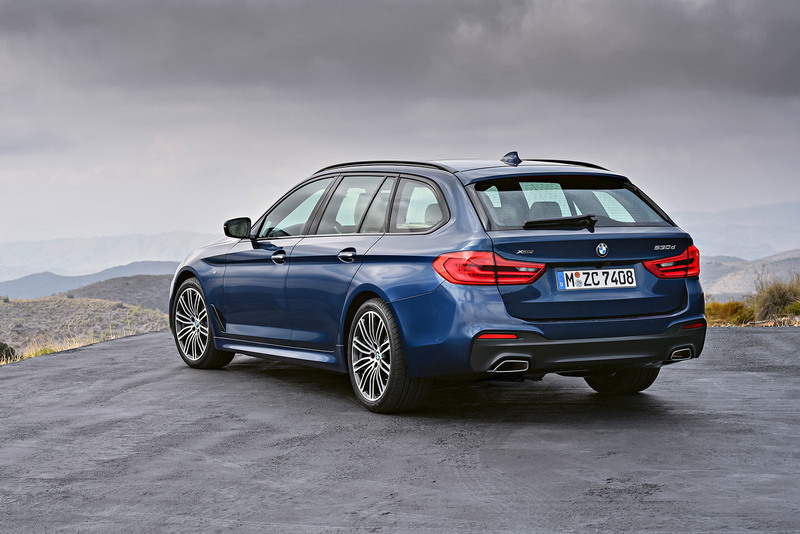 Official Release: Like the recently launched new BMW 5 Series Sedan, the second body variant in this tradition-steeped model range also impresses with an exceptional display and operating concept, trailblazing assistance systems and stand-out advances in digital connectivity. 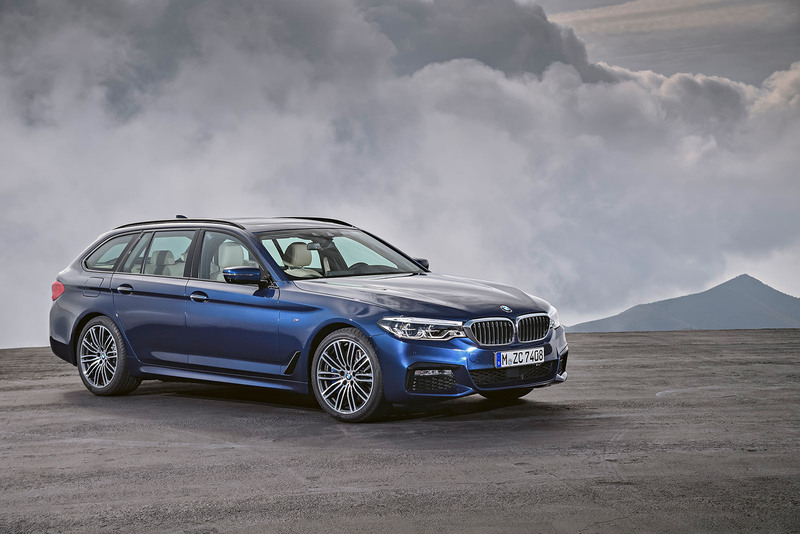 Rounding off the line-up of engines available from launch is a 3.0-litre straight-six diesel unit producing maximum output of 195 kW/265 hp and peak torque of 620 Nm (457 lb-ft). 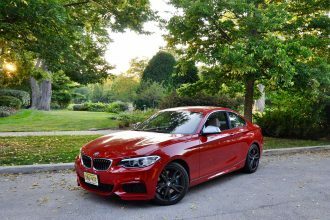 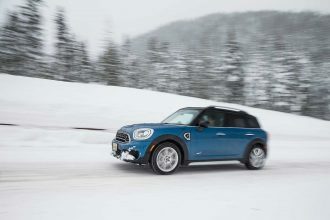 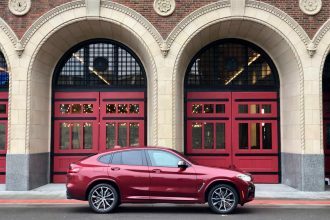 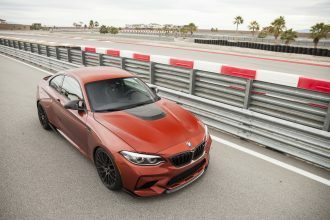 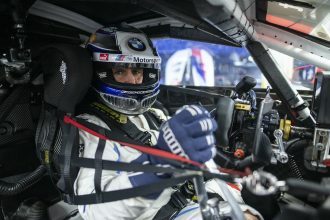 This engine can send its power through either the rear wheels or xDrive all-wheel drive, and links up with the eight-speed Steptronic transmission. 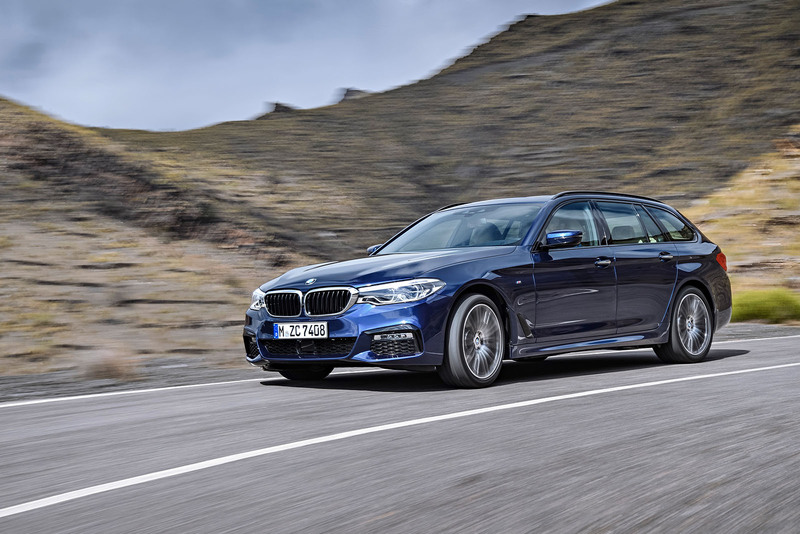 The BMW 530d Touring completes the dash from 0 to 100 km/h (62 mph) in 5.8 seconds, the BMW 530d xDrive Touring in 5.6 seconds. 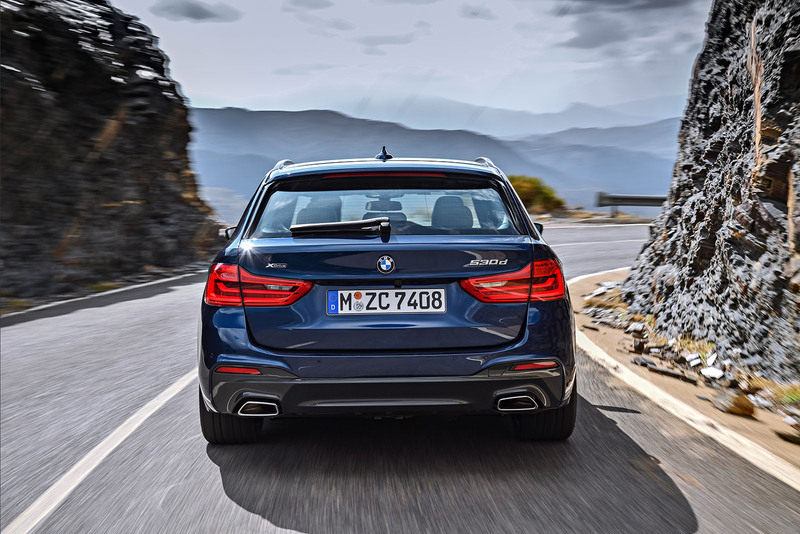 Combined fuel consumption is 5.1 – 4.7 l/100 km (55.4 – 60.1 mpg imp) / 5.7 – 5.3 l/100 km (49.6 – 53.3 mpg imp)* and CO2 emissions come in at 134 –124 or 149 –139 grams per kilometre*. 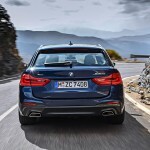 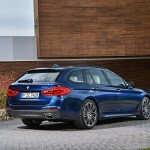 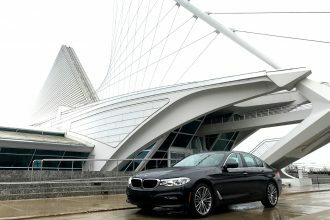 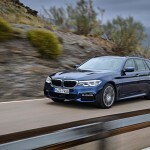 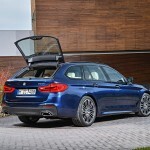 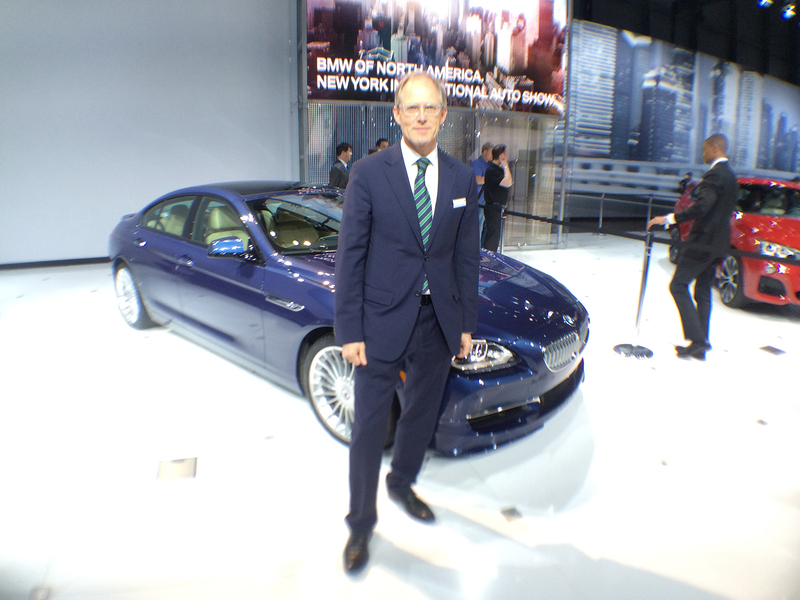 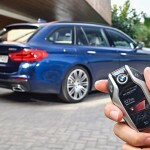 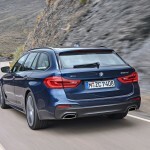 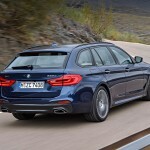 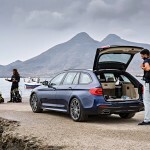 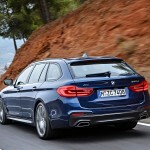 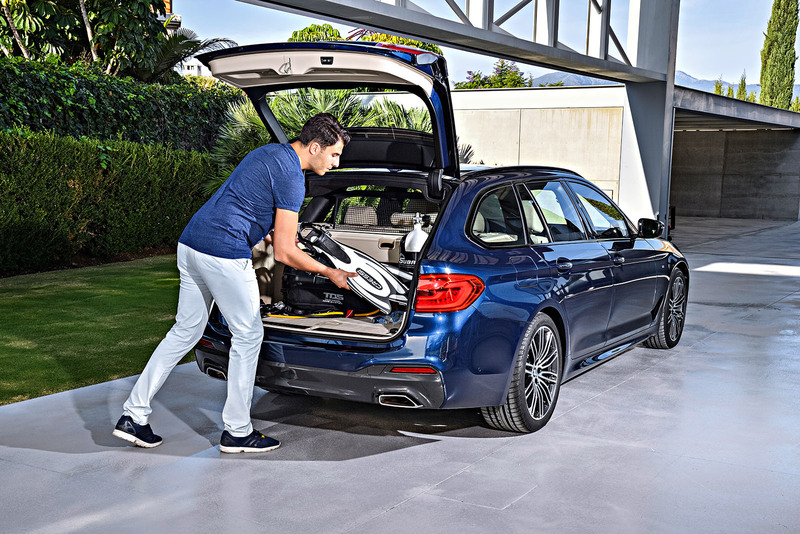 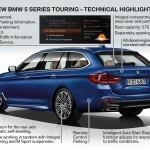 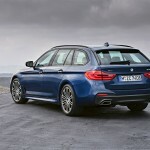 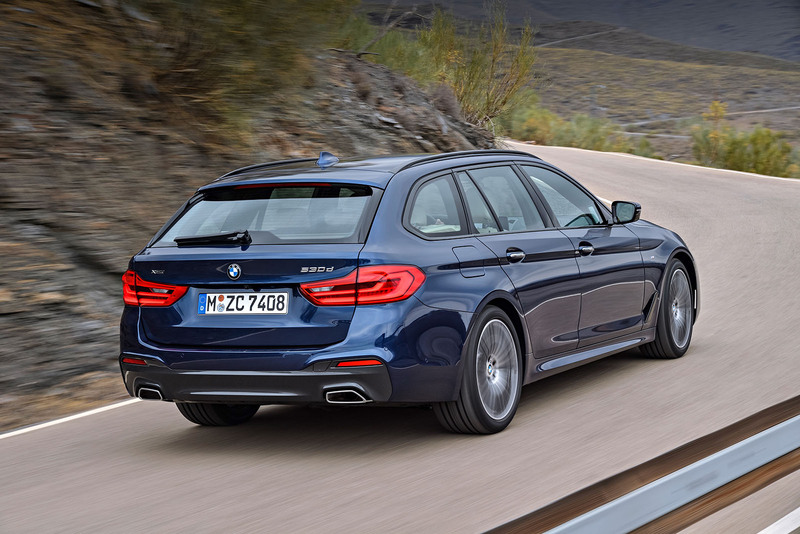 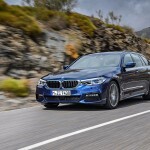 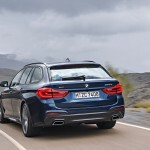 BMW 530i Touring: – Four-cylinder petrol engine, eight-speed Steptronic transmission. 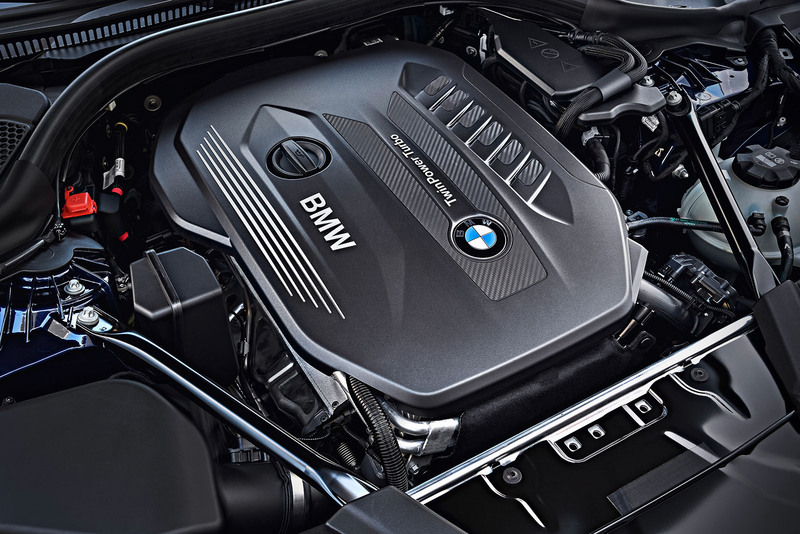 – Capacity: 1,998 cc, – Output: 185 kW/252 hp at 5,200 – 6,500 rpm, max. 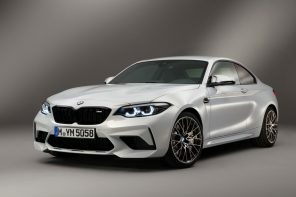 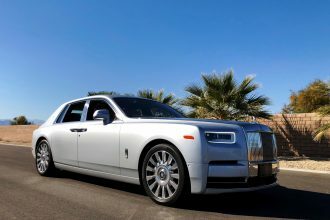 torque: 350 Nm (258 lb-ft) at 1,450 – 4,800 rpm, – Acceleration [0 – 100 km/h (62 mph)]: 6.5 seconds, top speed: 250 km/h (155 mph), – Fuel consumption, combined: 6.3 – 5.8 l/100 km (44.8 – 48.7 mpg imp), – CO2 emissions, combined: 143 – 133 g/km. 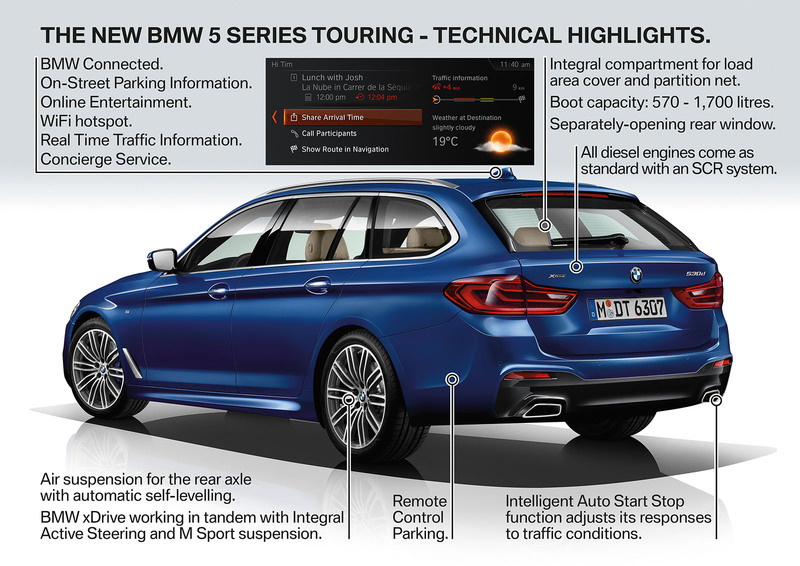 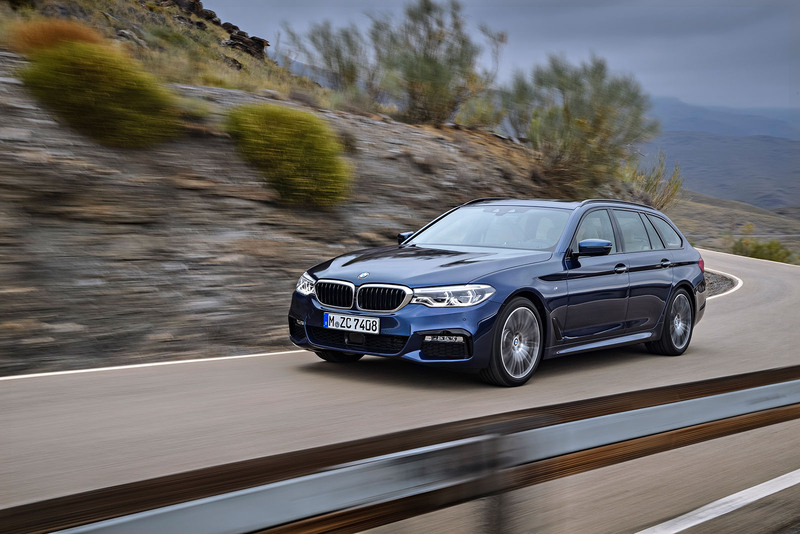 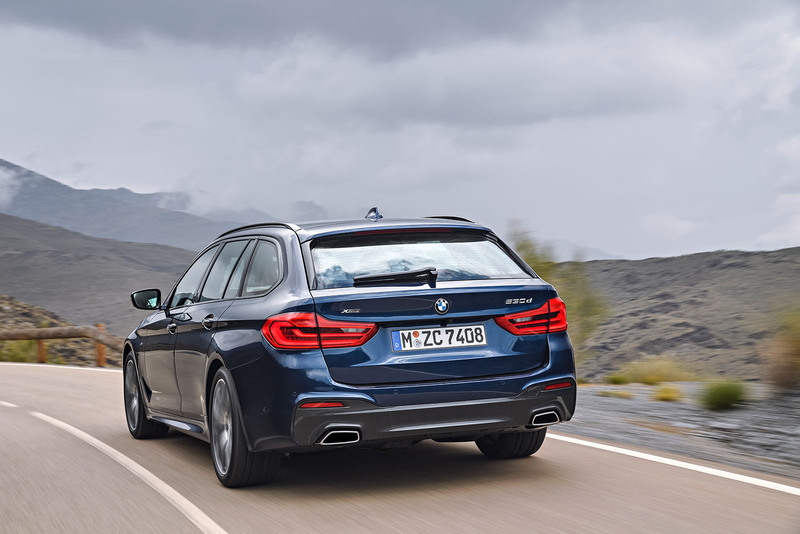 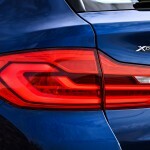 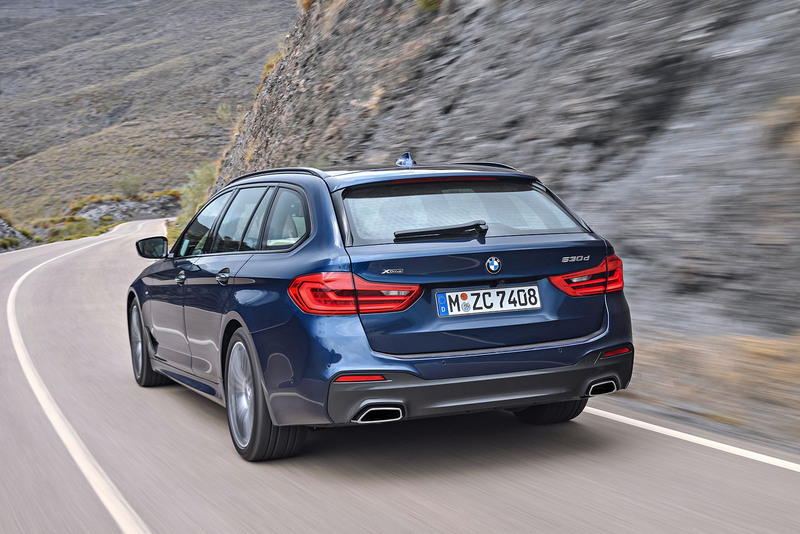 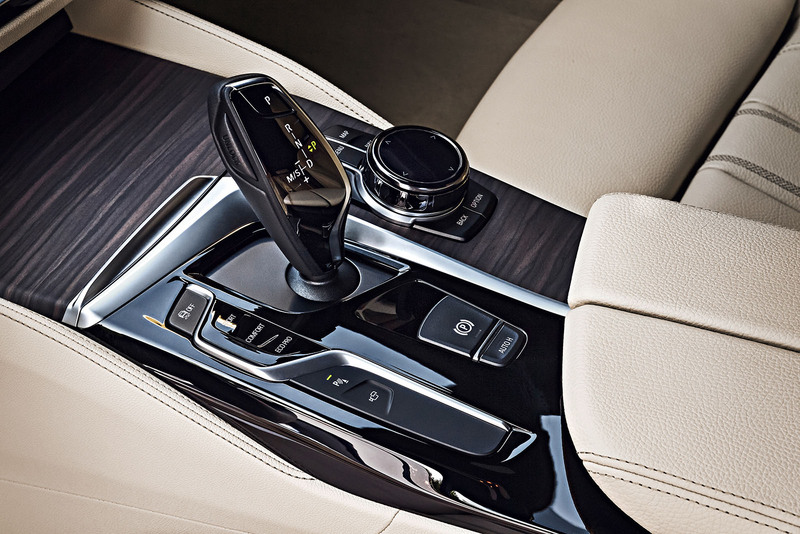 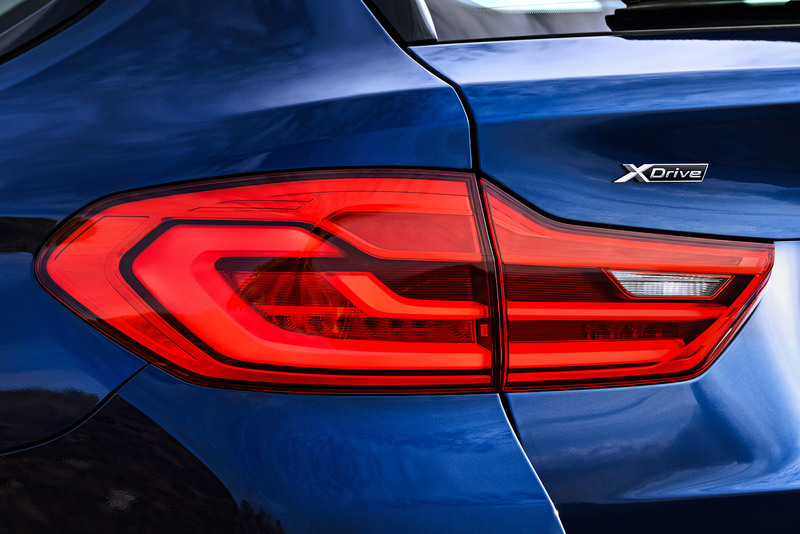 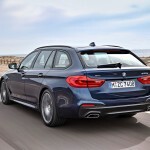 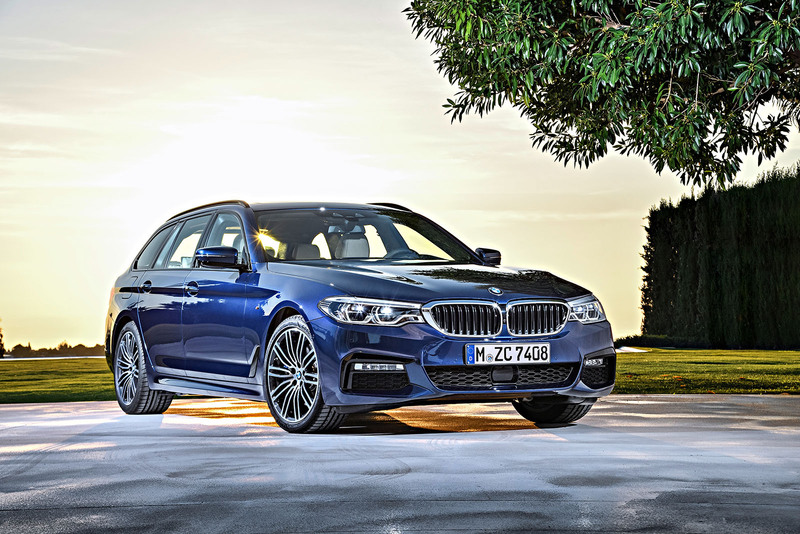 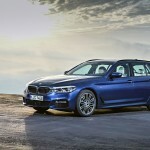 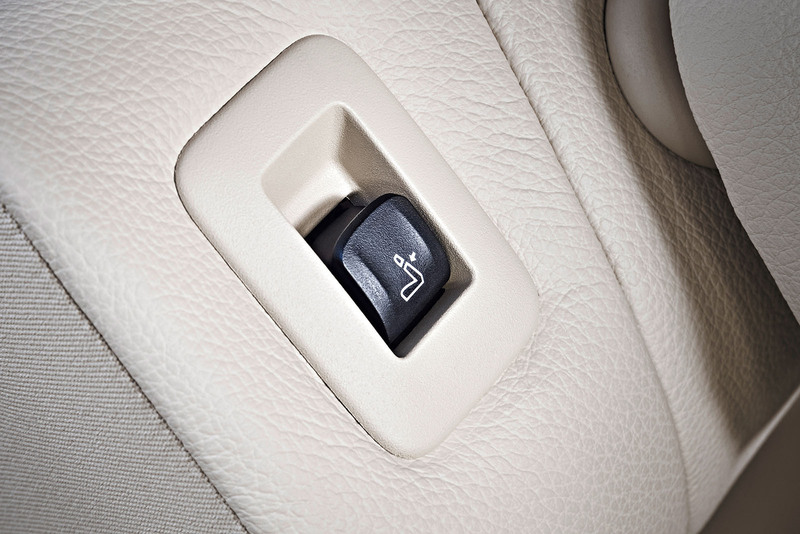 BMW 540i xDrive Touring: – Six-cylinder in-line petrol engine, eight-speed Steptronic transmission. 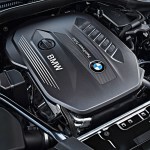 – Capacity: 2,998 cc, – Output: 250 kW/340 hp at 5,500 – 6,500 rpm, max. 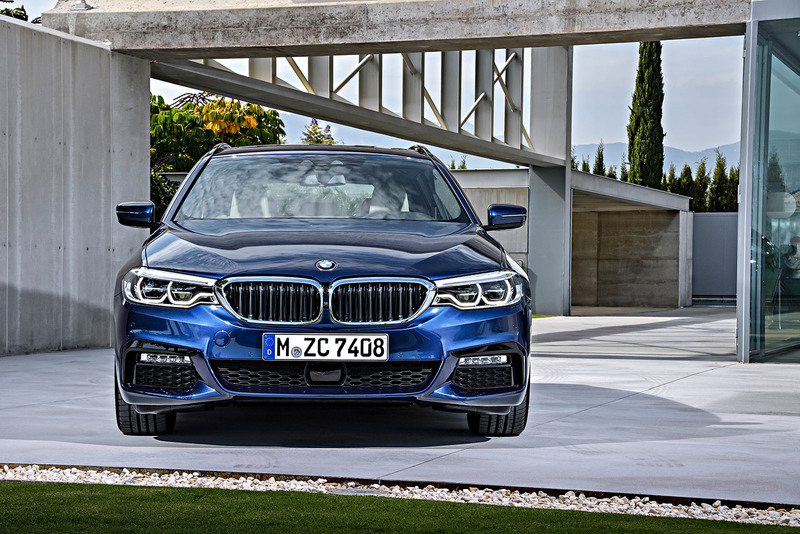 torque: 450 Nm (332 lb-ft) at 1,380 – 5,200 rpm, – Acceleration [0 – 100 km/h (62 mph)]: 5.1 seconds, top speed: 250 km/h (155 mph), – Fuel consumption, combined: 7.7 – 7.3 l/100 km (36.7 – 38.7 mpg imp), CO2 emissions, combined: 177 – 167 g/km. 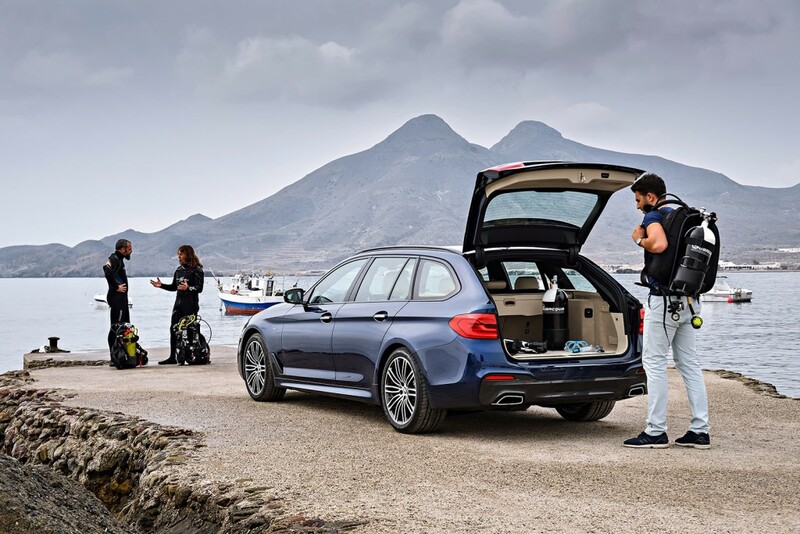 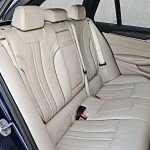 BMW 520d Touring: – Four-cylinder diesel engine, six-speed manual gearbox (optional: eight-speed Steptronic transmission). 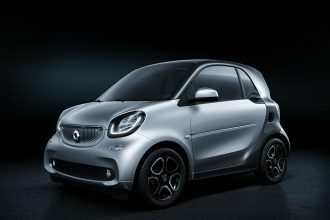 – Capacity: 1,995 cc, – Output: 140 kW/190 hp at 4,000 rpm, max. 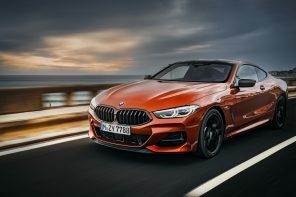 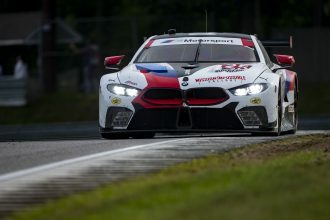 torque: 400 Nm (295 lb-ft) at 1,750 – 2,500 rpm, – Acceleration [0 – 100 km/h (62 mph)]: 8.0 seconds (7.8 seconds), top speed: 230 km/h [143 mph] (225 km/h [140 mph]), – Fuel consumption, combined: 4.9 – 4.5 l/100 km [57.6 – 62.8 mpg imp] (4.7 – 4.3 l/100 km [60.1 – 65.7 mpg imp]), CO2 emissions, combined: 129 – 119 g/km (124 – 114 g/km). 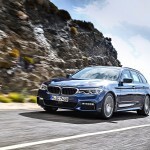 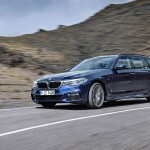 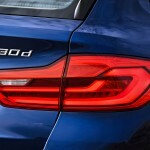 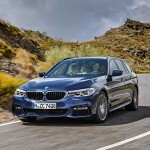 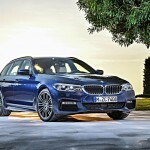 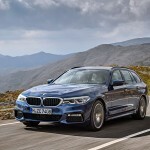 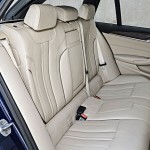 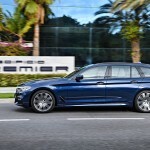 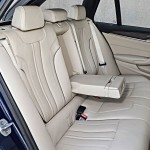 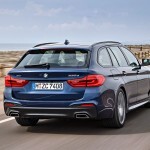 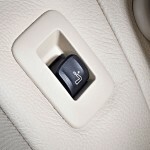 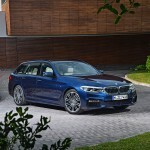 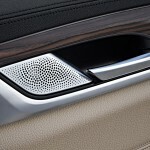 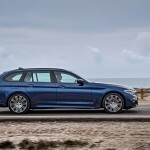 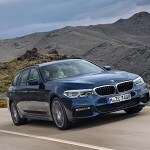 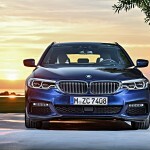 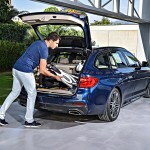 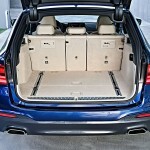 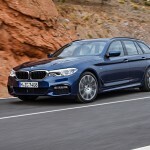 BMW 530d Touring / BMW 530d xDrive Touring: – Six-cylinder in-line diesel engine, eight-speed Steptronic transmission. 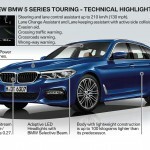 – Capacity: 2,993 cc, – Output: 195 kW/265 hp at 4,000 rpm, max. 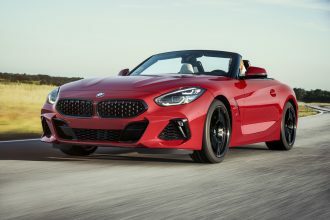 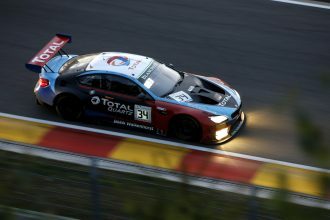 torque: 620 Nm (457 lb-ft) at 2,000 – 2,500 rpm, – Acceleration [0 – 100 km/h (62 mph)]: 5.8 seconds / 5.6 seconds, top speed: 250 km/h (155 mph) / 250 km/h (155 mph), – Fuel consumption, combined: 5.1 – 4.7 l/100 km (55.4 – 60.1 mpg imp) / 5.7 – 5.3 l/100 km (49.6 – 53.3 mpg imp), CO2 emissions, combined: 134 – 124 g/km / 149 – 139 g/km. 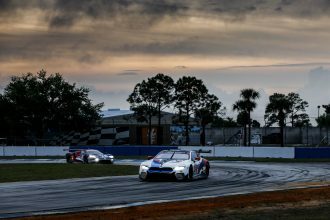 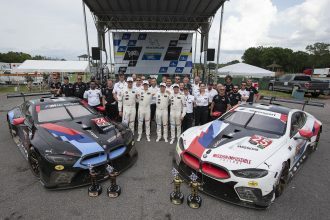 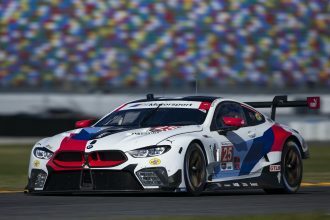 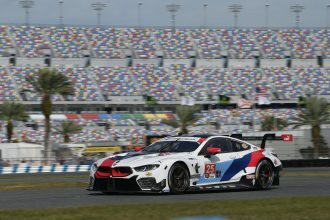 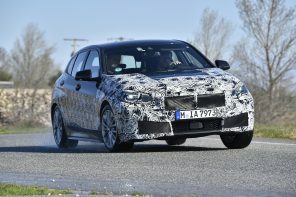 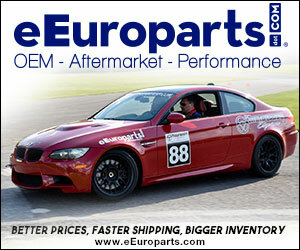 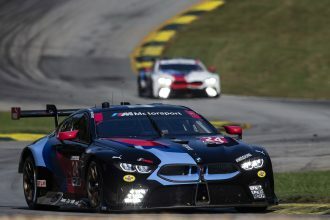 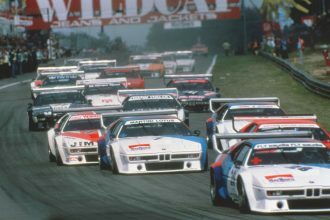 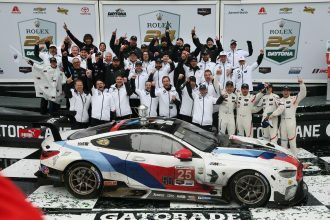 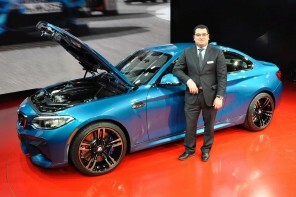 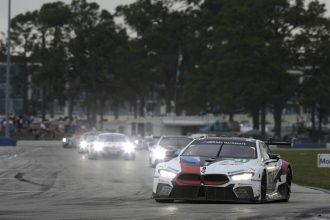 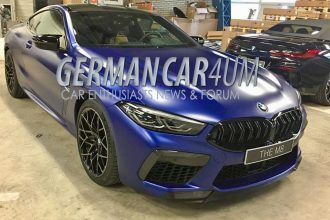 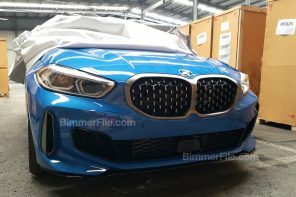 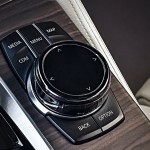 Next articleBMWNA Starts the Year Off with Growth! 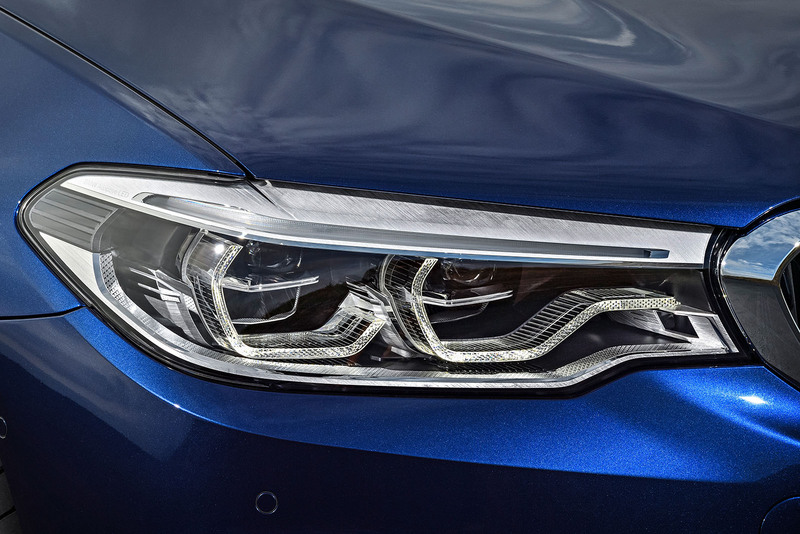 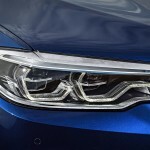 Today is the day that BMW is taking the wraps off of it\’s third BMWi concept – the i3 Coupe. 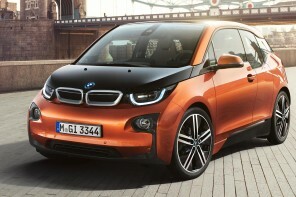 Based on the previous i3 concept, the coupe represents a sportier take on the carbon fiber monocoque concept. 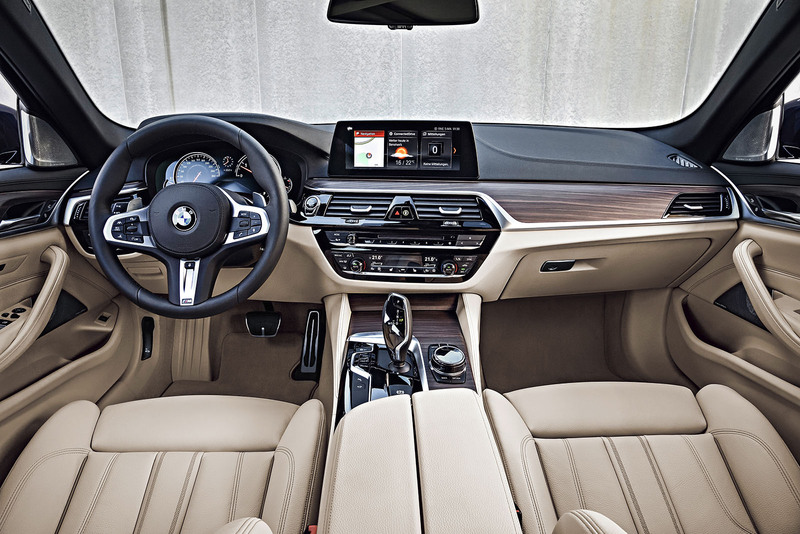 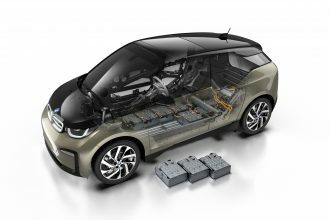 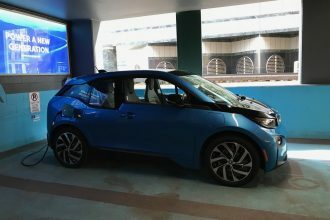 Production feels like a real possibility given the design and technology overlap with the existing i3 four door. 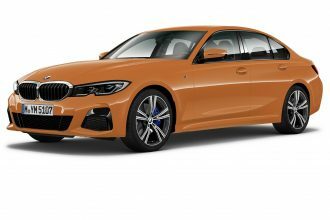 That said nothing has been officially mentioned around marketing timing. 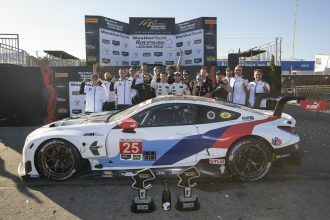 Read on for the full official release.